What are Certifications and How Do They Work? What is a coach certification, why it's important, and how does it work? What's an Athlete Promotion and Why is It Important? How coaches can recommend their players to college coaches in their networks via Athlete Promotions. 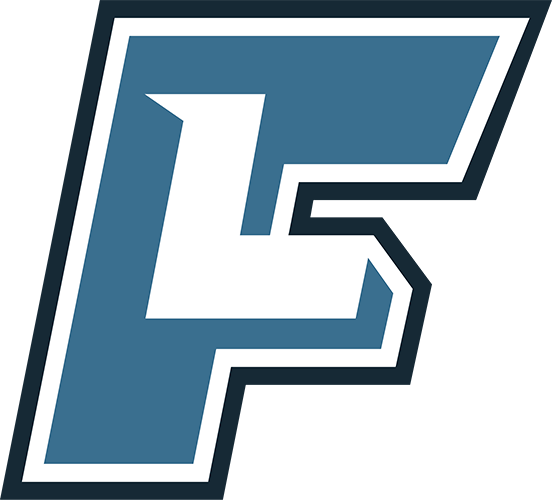 Using the FieldLevel app on your smartphone and tablet is easy and allows you to stay on top of your recruiting efforts on the go. Changing My Email Address/Login Info? Athletes can change which email address they use to login and receive email notifications. Forgot which email and password you use to login to your account? Don't worry, we can help. Steps for both coaches and athletes to delete their FieldLevel profiles. College Recommendations are generated on FieldLevel for Premium athletes, and their coaches, to view. Athletes are provided a Match Strength for every college on FieldLevel that is generated using various data points. How Can I Research Colleges on FieldLevel? Coaches and athletes can use our College Search Tool to research schools based on school size, location, majors, tuition, and more. Add your coaching staff to help with the recruiting process and grow their networks. How do coaches get verified on FieldLevel and why the verification process is important. What Does Connecting with Coaches Do? How to connect with coaches and the benefits of building your network of coaches. Coach profile and how to update information. How coaches can message one another to communicate about players. How to Edit Team Information? Instructions on how to edit your team name, contact info, website address, and team logo. How Do I Edit My Profile Picture? How to edit your name, profile picture, coaching history, job description and more. How Do I Invite Coaches That Aren't Currently On FieldLevel To Join? How coaches can invite other coaches to join FieldLevel. How Can I Change My Email Address/Login? You can change which email address you'd like to use to login and receive email notifications. Your program's Team Page is a great marketing tool that can be used to illustrate how extensive and powerful your recruiting reach is. If you get a new job coaching at another team/school, you can easily move your profile with your network connections to your new team. How you can turn email notifications on, off, or wrap them into a weekly digest. How to add your Alumni to FieldLevel to show where you have placed your previous athletes. Athletes can help create more opportunities for themselves by adding multiple coach references to their profile. What Should I Do Once I've Committed? How to mark yourself as committed and next steps for your profile. How Can I See the Certifications Written by My Coaches? Coach certifications are only visible to college coaches. How Do I Know If My Coach Has Certified My Profile? You can see if and when your coaches have certified your profile directly from your "My Profile" page. Athletes can downgrade or cancel their monthly premium plans at anytime. You have the ability to upgrade and downgrade your FieldLevel Premium Plan directly from your profile. How Do I Search For Athletes? College coaches can search for recruits all over the world and use specific filters to find the perfect athletes for their teams. How Can I Contact Coaches in My Network? As a college coach, you can send direct messages to any coach on the platform as well as any athletes in your "My Recruits" list. How coaches can add their players to their teams. How Do I Send Messages to My Athletes? Coaches can send messages to their athletes through their FieldLevel profiles. Can I Link My Profile to Each Team/Sport I Coach? Currently, coaches need to have separate FieldLevel profiles for each team they coach. What are Athlete Qualifications and What Does they Do? Setting your "Athlete Qualifications" allows you to search for and receive promotions of athletes who meet your specific needs. How to measure your players' standing vertical jump, shuttle run, and lane agility drill. How to measure and record your athletes' vertical jump, 40 yard dash, and mile run. How to measure and record your athletes' max velocity, pop time, and 60 yard dash. How to record your athletes' 40 yard dash, bench press, 3 cone drill, broad jump, 20 yard shuttle, vertical jump, and 60 yard shuttle. We've provided coaches the tools to manage their roster, mark their athletes' commitments, and manage their Alumni from the Dashboard. Adding Video to an Athlete's Profile? How athletes and their coaches can add video highlights to an athlete's profile. Athletes and coaches can upgrade to gain access to Premium features that will help them with the recruitment process. How Do I Edit an Athlete's Profile? Coaches can edit their athletes' profiles, helping provide college coaches with the most updated and comprehensive info.